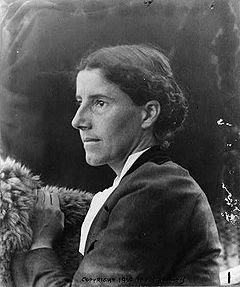 Fact: These days, the most exciting academic work on nineteenth- and twentieth-century poetry is being done by women critics and scholars like Maria Damon, Melissa Girard, Virginia Jackson, Meredith Martin, Meredith McGill, Adalaide Morris, Catherine Robson, Joan Shelley Rubin, and Angela Sorby. (N.B. As anyone who attended the 2008 “Lifting Belly High” conference that focused on twentieth-century women’s poetry will attest, that’s hardly a complete list, but it’s not a bad start.) 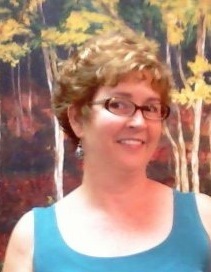 The most recent example of such scholarship comes from P&PC hero and University of Florida English professor Marsha Bryant, who is the author of the new book Women’s Poetry and Popular Culture (Palgrave Macmillan, 2001) that we get to talk about here. Fact: Collectively, the books, essays, and digital projects by these and other women scholars are pushing frontiers of how to read, understand, and study poetry, breaking down outdated binaries like “raw” and “cooked,” “oppositional” and “quietist,” lyric and non lyric. 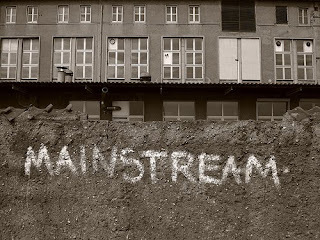 They are studying poetries in the plural (not Poetry) as cultural forces and as ways of thinking linked both to the everyday and the ideal, with sources in mass, popular, and counter cultures, computers and archives, transnational circuits of exchange, and public and political spheres. They are finding poetry in schoolrooms, diaries, letters, magazines, radios, cafes, movies, nature field guides, civic events, art centers, handbooks, slams, and digital pixels, as well as in books and little magazines. For them, “poetry” refers to a diverse set of historical phenomena ranging from what Damon calls fugitive “micropoetries” to intentionally epic-length works like Helen in Egypt, one of the texts that Bryant (pictured here) examines at length in Women’s Poetry and Popular Culture. Fact: P&PC knows some of these people personally, and some of them we’ve never met. But to a one (and at risk of sounding cheesy) we’re inspired by them all. 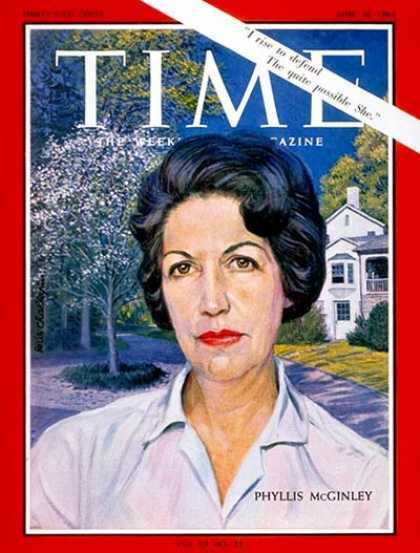 Back in 1989, Susan Lanser published “ ‘The Yellow Wallpaper’ and the Politics of Color in America”—an essay that used the example of Charlotte Perkins Gilman’s now-canonical short story to praise how feminist literary criticism changed and opened up the practice of literary studies and yet had its own blind spots; in focusing solely on the liberation of the imprisoned women in “The Yellow Wallpaper,” Lanser claimed, feminist scholars “may have stopped short, and our readings … may have reduced the text’s complexity to what we need most: our own image reflected back to us.” In revealing the limits of feminism’s “relentless pursuit of a single meaning”—a pursuit that initially freed readers from a patriarchal canon and critical method even as it was threatening to become restrictive insofar as it approached texts as primarily about gender from a white, middle-class perspective—Lanser studied the yellowness of the yellow wallpaper, a central detail of the story that, amazingly, had escaped all but the most marginal commentary by critics. As one reads Lanser’s essay today, it is almost possible to imagine the lightbulb moment when Lanser asked herself “But why is the wallpaper yellow—and not red, or purple or green?” Lanser’s subsequent re-reading of “The Yellow Wallpaper” is superb and superbly challenging, as she ties the color yellow to discourses of race and immigration in America at the time of the story’s writing (the late nineteenth century)—discourses that used the word “yellow” as a pejorative, catch-all description to refer to non-Nordic peoples including African Americans, Chinese, Jewish, Irish, and Italians. 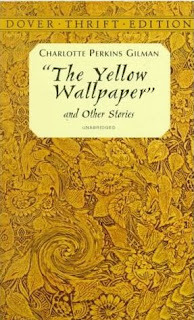 Putting the racial connotations of “yellow” in conversation with Gilman’s own complicated politics—Gilman was a socialist and feminist who nevertheless took anti-immigration and pro-eugenics stances and imagined "yellow" peoples as inherently more patriarchal and less capable of personal improvement than Nordic ones—Lanser reveals the woman trapped in and behind the yellow wallpaper to have a complicated ethnic-female identity with which the story’s narrator is simultaneously repulsed and seeking to free. 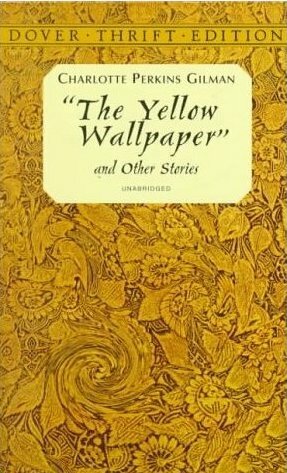 “The Yellow Wallpaper,” Lanser claimed, is not a story about woman’s predicament in a male dominated world generally speaking, but one about that predicament as it intersects with the ambivalences and contradictions of race and ethnicity. 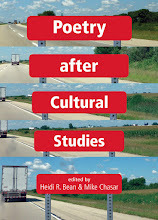 Women’s Poetry and Popular Culture thus revisits and rereads the work of several "key figures" in relation to their respective connections to the mainstream—sustained connections or motifs that Bryant calls their “signature styles”—and for how they claim the cultural center and write as cultural insiders rather than as outsiders. Chapter One focuses on the “CinemaScope poetics” of H.D.’s Helen in Egypt, a book that appeared the same year that Warner Brothers released the movie Helen of Troy (1956) and that borrows from the “cinematic ruptures of popular film and postwar geopolitics.” Chapter Two argues that the innovation in Stevie Smith’s funky illustrated poems (such as the one pictured here) was made possible in part by well-established practices in children’s literature. Chapter Three explores how the “cross-racial inspection” of Gwendolyn Brooks’s postwar poetry that “make[s] whiteness visible” owes a debt to the strategies of Ebony magazine and thus becomes “not simply a counter-discourse, but central to the national conversation about race” at the time. Indeed, Bryant writes, “Racial politics and popular culture contribute as much as modernist influences to the much-remarked difficulty of Brooks’s postwar poetry.” Chapter Four finds that many of the strange or surreal images in Sylvia Plath’s poetry pull directly from images of domesticity appearing in 1950s women’s magazines. And Chapter Five argues that the famous (and famously creepy) persona poems of Ai and Carol Ann Duffy—poems that resist confessional modes of communicating the “feminine” self in favor of creating portraits of serial killers and child abusers—have direct analogues if not sources in a “mainstream extreme” frequently encountered in sensational journalism and TV shows such as America’s Most Wanted. In a paragraph seemingly included to answer just the sort of question that the P&PC office interns might consider raising, Bryant explains that Women’s Poetry and Popular Culture focuses on canonical or near-canonical poets—rather than on the many, now forgotten women poets who wrote with mass audiences in mind and regularly published in newspapers and mass-circulation magazines—for three main reasons: (1) because studying “established poets allow[s] for a reorientation of the field” since the field values them and calibrates itself in relationship to them; (2) because they are widely available in anthologies and thus don’t require recovery projects or archives to access; and (3) because many of these poets “prove difficult to position as cultural outsiders” in the first place, given how they’ve been lauded and honored in literary culture; they are prize winners, poet laureates, and even (especially in the case of Plath) figures recognized in and by the mass media. We here at the P&PC office can understand all that and, now that Women’s Poetry and Popular Culture has opened up the subject of women writing as insiders and not solely as members of a "loyal opposition," we hope that other scholars will check out the careers of poets who aren’t held in such high esteem today—poets like Anne Campbell, Grace Noll Crowell, 1961 Pulitzer Prize-winner Phyllis McGinley (pictured here on the cover of Time), Nancy Byrd Turner, Helen Welshimer, and Ella Wheeler Wilcox, for example—and who made not just their poetry but, in some cases, their livings from positions writing inside mainstream popular and mass culture. 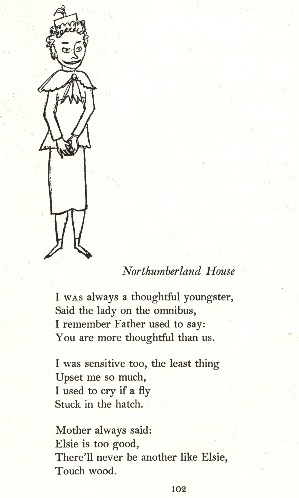 Too many of us still believe that a woman’s poem must resist popular culture to be successful. But we have seen that it offers poets aesthetic inspiration as well as an ideological sounding board. As artful consumers, poets open their signature styles to the graphic and the glossy, the screen and the scene. 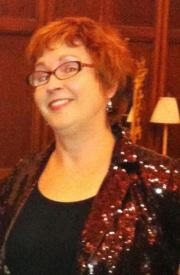 Modern and contemporary women poets take popular culture into their work, and readers must take it into fuller account. 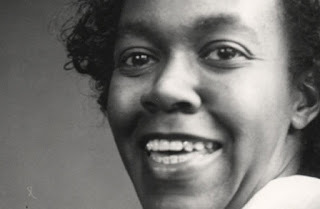 To the end of more fully accounting for this overlooked feature of twentieth-century women’s poetry, we here at P&PC think it would also be worth having examples of scholarship that don’t cast women’s writing from the center as an almost uniformly successful activity, but as one entailing various sets of compromises and perhaps even failures as well. That is to say, Women’s Poetry and Popular Culture is so successful at what it does—making the links between women’s poetry, popular culture, and the cultural mainstream indisputable—that some more ambivalent or even negative examples would be worth including in the mix. Bryant has shown us how the center offers a set of resources for writers who then successfully use them, but where did other attempts to engage or write from the center limit or disable women writers, and how? Where did they fall short or go wrong, and why? Where and why do the forces of the market or insider positions (ideological or otherwise) curtail or confine them (one might even say get them to “sell out”), and how might those examples round out our sense of the dynamic intersection that Bryant has challenged us to map? It’s not an impossible task. 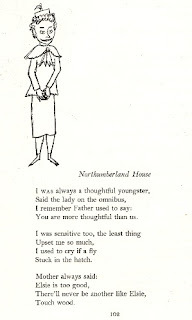 To do so in regard to women’s poetry, however, would mean stretching feminist literary theory in yet another unconventional direction—one that would critique or call out, in addition to praising, showcasing, or representing for the poetry—and thus ensure that our operating assumptions as readers and critics don’t become as entrenched as they were before people like Bryant took them to task.